After a decade of decline in the rate of uninsured children in Texas, a new study shows that rate is increasing again. 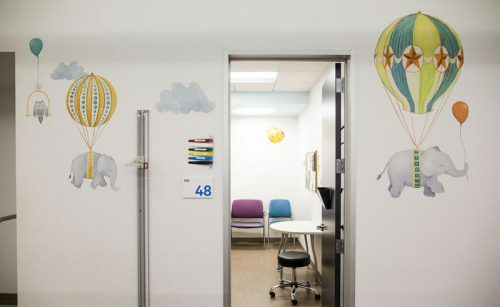 Research from the Center for Children and Families at Georgetown University shows Texas’ rate of uninsured children increased from 9.8 percent in 2016 to 10.7 percent in 2017 ­– an amount that accounts for a fifth of all the uninsured children in the U.S. and is the largest share nationally, according to the study released today. Overall, the national rate ticked up from 4.7 percent – a historic low – to 5 percent in the same timeframe, which came as a surprise to researchers. The percentage of Texas children receiving employer-sponsored insurance through their parents actually increased, the CCF study found, from 41.1 percent of children in 2016 to 42.5 percent in 2017. But decreases in enrollment were found among children receiving insurance through government-sponsored plans. In 2016, 37.6 percent of Texas children received health care through Medicaid and the Children’s Health Insurance Program, also known as CHIP. In 2017, coverage dropped to 35.7 percent, the study found. There was also a decrease in children getting health plans through the individual marketplace created by the Affordable Care Act, also known as Obamacare. That rate of coverage in Texas dropped from 5.5 percent to 4.9 percent in that year. Adriana Kohler, a senior health policy associate for Texans Care for Children, said the report highlights difficulties already facing children and parents in Texas. Why do fewer children have coverage? Kohler said the insured rates for Texas children dropped due in part to Republican efforts to repeal the Affordable Care Act, as well as congressional delays on reauthorizing the Children’s Health Insurance Program (CHIP) last year, which caused funding for the program to lapse temporarily. Cuts to outreach efforts and federally backed money for so-called navigators, who help clients sign up for a health plans, added to confusion in Texas. “Texas children are seeing the effects of that,” she said. In particular, racial minorities experienced the most statistically significant decreases in insurance coverage. Alker said the Trump administration’s effort to crackdown on both legal and illegal immigration in the country has also affected families in the U.S. and Texas. She said many parents are forgoing services – even if their children were born in the U.S. and are eligible for services – because they are undocumented. “For these mixed-status families, there is likely a heightened fear of interacting with the government and this may be deterring them from signing up their eligible children up for government sponsored health care,” she said. Advocates have been warning that the fear of deportation has led a lot families in Texas to forgo medically necessary services for their kids, many of whom have disabilities that require frequent medical care. “These fears and threats to the community have ripple effects and a chilling effect that Texas kids are now facing,” Kohler said. Kohler said there are policies the Texas Legislature could enact to help stem the rise in uninsured children – namely policies that would effectively expand Medicaid. A policy allowing children to stay on Medicaid for a full year – instead of requiring them to reapply every six months, which is the current policy – would be a start, Kohler says. She also hopes lawmakers expand Medicaid to more low-income people through Obamacare, something state leadership has vehemently opposed in previous legislative sessions. But, at the federal level, Alker said the Trump administration’s continued efforts to undermine Obamacare could also ensure fewer children are covered in the future. “Without serious efforts to get back on track, the decline in coverage is likely to continue in 2018 and may in fact get worse for America’s children,” Alker said. This entry was posted in KRTS News and tagged healthcare, uninsured children. Bookmark the permalink.